London is freeeeezing. It was 3 degrees this morning whilst I cycled into work – I’m back in my winter boots and thermals! 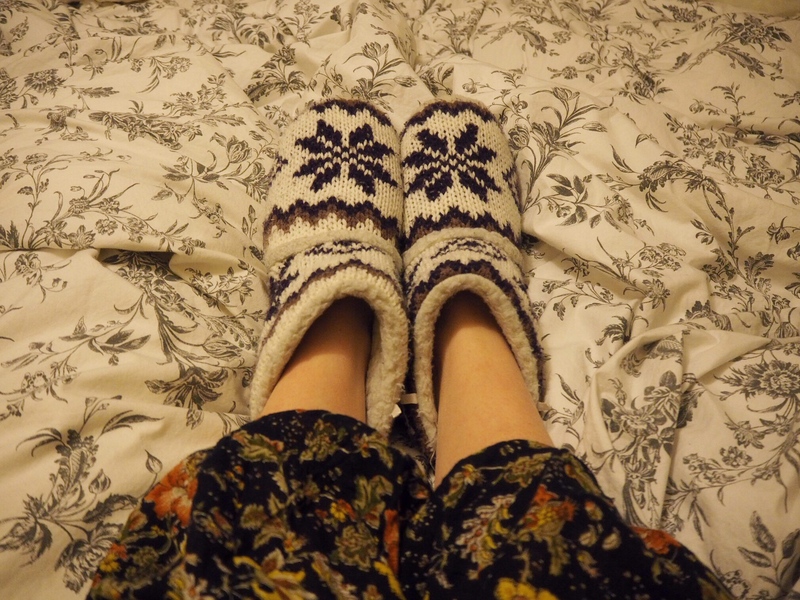 Hopefully it’ll pass soon, but for now, I’ve cracked out my slipper boots after safely showing them away for the summer. Clearly I was too keen for winter to end!